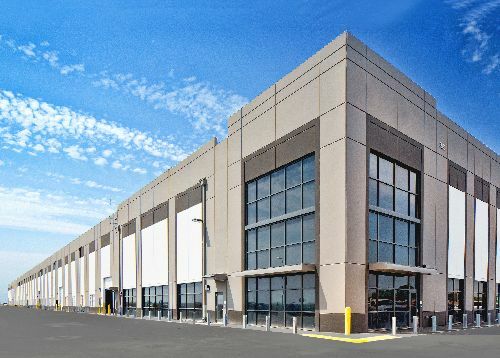 Hayward 92 Industrial Center, a 237k sf, LEED-certified distribution property in the East Bay city of Hayward, was purchased by an international institutional asset management company in a transaction worth $395/sf, which works out to a total value near $93.5 mil. The fully-automated, industrial facility is 100% leased to a Fortune 50 company. It was sold by a venture between Conor Commercial Real Estate, a member of The McShane Companies, and American Realty Advisors. The infill industrial facility, located on 31.5 acres, was completed in late 2017 and boasts modern building features and fully improved land dedicated to truck, trailer and employee parking. The center features 32' clear height, 61 dock-high doors, 5.3k sf of office space and a 1.5k sf security building to regulate site access. The building interior is fully-automated and features a sophisticated conveyer system to enhance productivity and facilitate efficient operations. McShane Construction Company and Ware Malcomb Architects served as the design/build team for the construction of the build-to-suit project. Jeff Starkovich and Jay Hagglund of Cushman & Wakefield represented the Conor/ARA partnership in the project leasing, and Jeff Chiate and George Eckard, also of Cushman & Wakefield, led the marketing of the project sale.